As we mentioned a few times before we keep supplementing and changing the existing sets in order to improve them. Why do we do this? Why do we waste time on this instead of introducing new products? Metal figures require making new molds from time to time as the old ones become worn. While making a new mold we add some changes in order to make the set more attractive. This process will not end as a mold lasts for about 500 to 700 castings. At the moment we are changing the molds of the oldest sets. We will regularly show you photos of the changed sets. 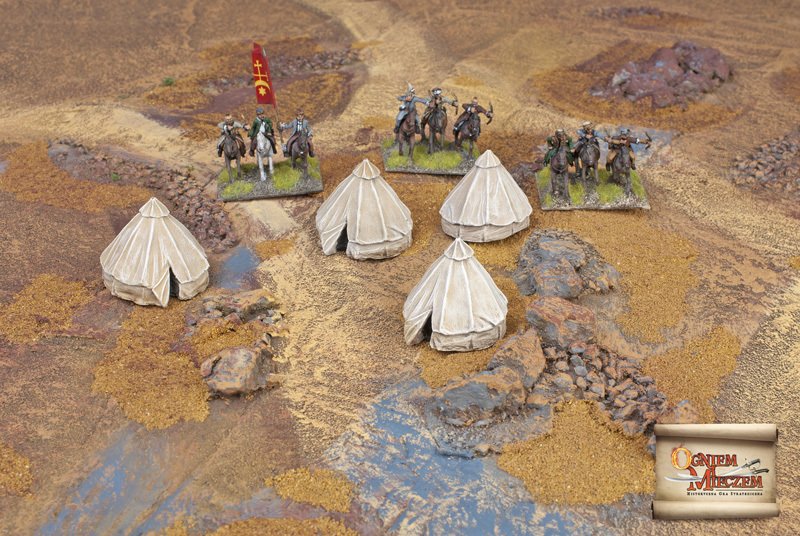 We begin with – POL-7 – Cossack Style Cavalry with spears. Of course the figures look even better in reality. We would like to inform you that our models from By Fire and Sword line would be available on Tactica 2011 in Hamburg. Models would be present on stand of our co-operant: Frontline Games from Germany. 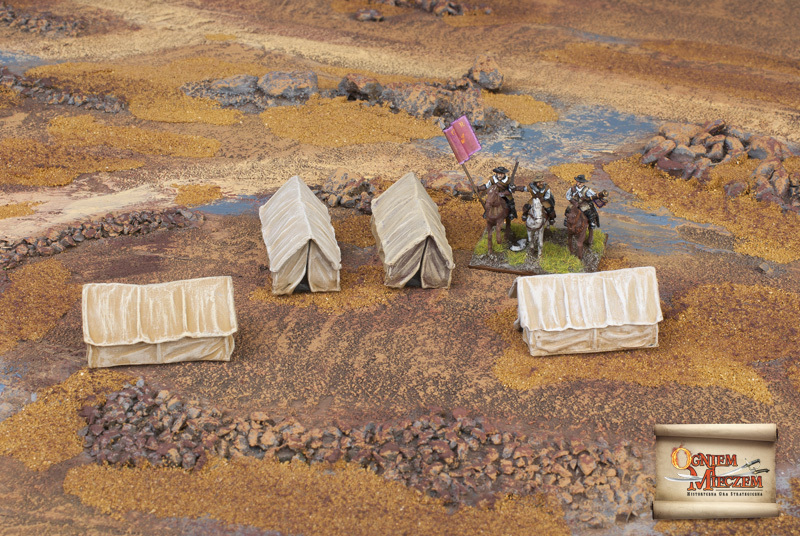 Our terrain elements range increased by 7 sets of tents. We offer 2 series of tents, that for the sake of simplicity we called eastern style and western style. 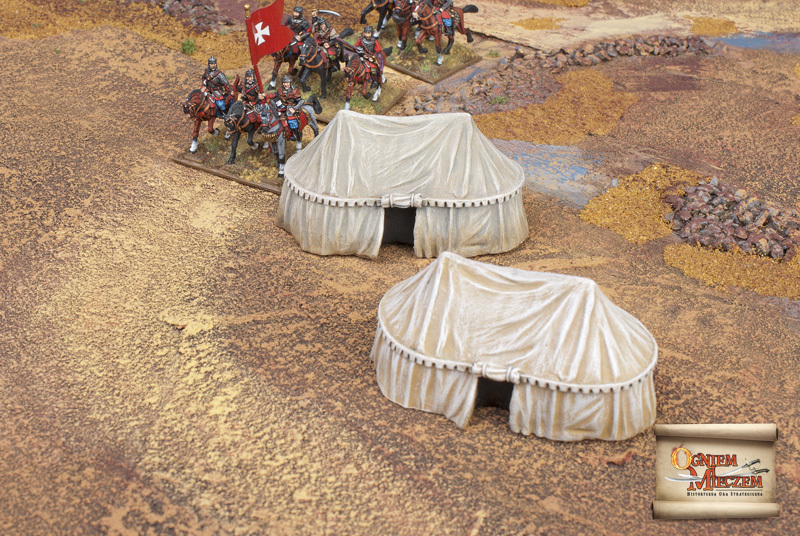 We also plan to make Turkish tents and small tents for Tatars and Cossacks. 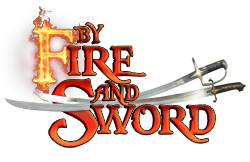 Due to a huge amount of spam-bots logging in as By Fire and Sword forum from a Gmail we decided to ban this popular domain. Please log on from other addresses. If anyone wants to register an account from a Gmail address – please contact our forum administrator about this. We are pleased to present another preview of the rulebook. This time we have a few pages of rules for you. This is not the final version but it gives you an idea of the concept we are aiming at.